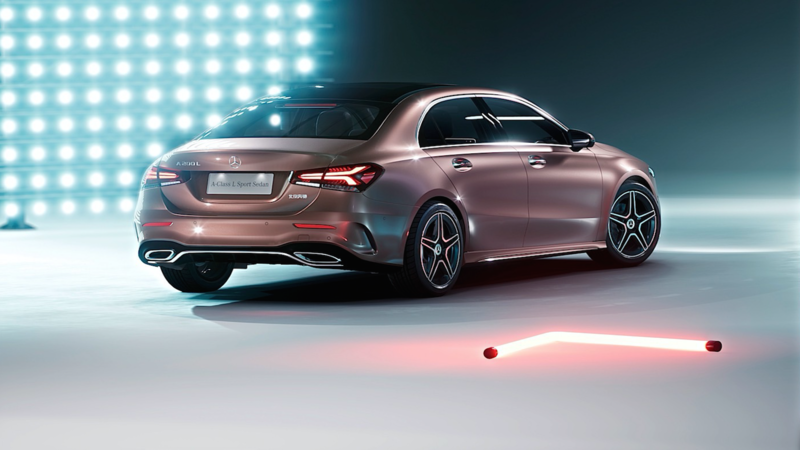 Mercedes-Benz releases a long-wheelbase version of the A-Class, making it a mini CLS! Mercedes-Benz is no stranger to exploring new automotive niches. The A-Class in itself is a niche-mobile. It comes in a hatch and also a sedan but now it is offered in a Long Wheelbase version. It was debuted at the Beijing Auto Show just a week ago. The car has caused quite a stir amongst potential Mercedes buyers. 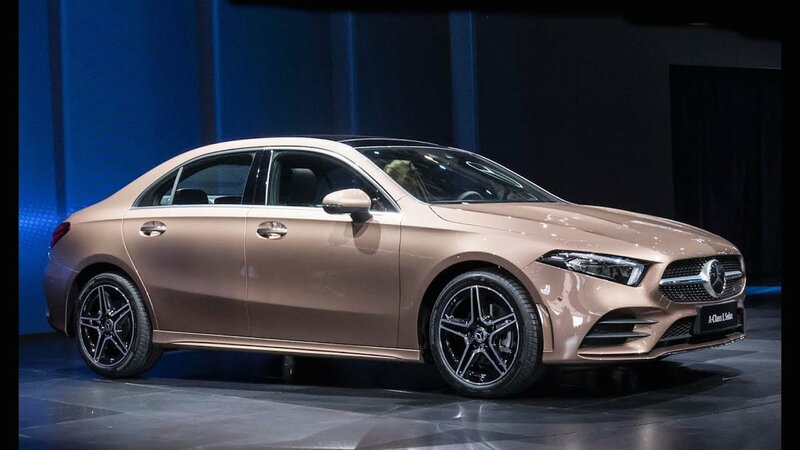 This Mercedes-Benz A-Class L Sedan is aimed at the Chinese market and solely them. This model will not make it overseas unless the market specifically demands it. The Chinese want small, luxury sedans with adequate room in the rear to take passengers. The A-Class L is certainly the car to do that! It is a full 2.4 inches (60 mm) longer. Mercedes-Benz will offer the A-Class L with the same engines as the current models have. Expect a 1.3-liter four-cylinder engine and 2.0-liter making 134 horsepower or 220 horsepower, respectively. The chance of an AMG version coming is not too far-fetched seeing as Mercedes-Benz provides an AMG option for nearly all of their cars. That car would make upwards of 350 horsepower based on the older A45 AMG, which was the most potent 2.0L of its time. The A-Class L will have a seven-speed dual-clutch transmission as standard. That'll allow you to get to 60 in around 6 seconds (expect a little slower giddy-up since this car will certainly be a bit heavier than a normal A-Class). 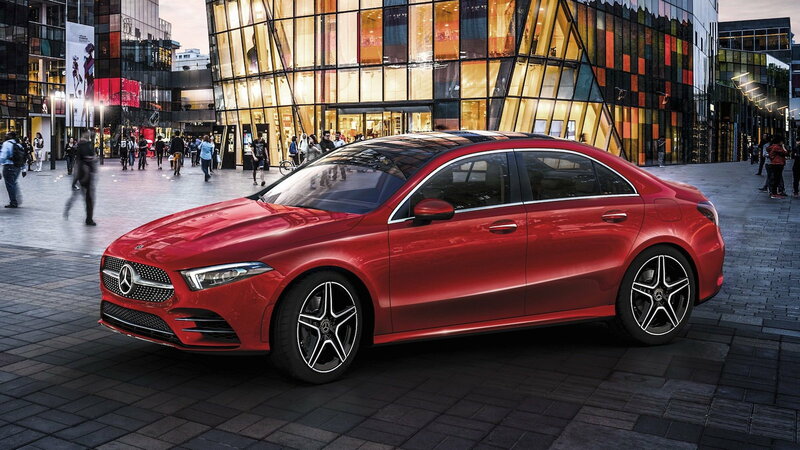 The long-wheelbase A-Class will be offered in either front-wheel drive or four-wheel drive. Don't be surprised if an all-electric version comes out within a couple years. >>Join the conversation about the A-Class L right here in MBWorld. The A-Class L interior is the same as the normal sized variant besides the fact that it has extra legroom in the back. The new A-Class interior is a total revolution from the old interior. Inside, the passengers are greeted by a massive display spanning from the driver's gauges to the center console--similar to the one on S-Classes and E-Classes. Everything is meticulously made and ergonomically placed within the cabin. 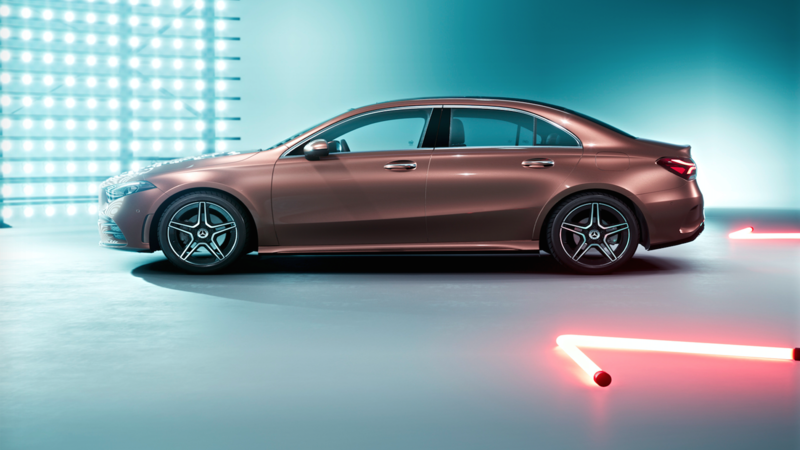 The A-Class gets Mercedes-Benz's latest MMI system and high-definition display. The voice command is also all-new, capable of understanding different Chinese dialects, like Sichuanese and Cantonese. Similarly to other Mercedes, the interior is customizable with a plethora of interior colors and trims. The photo provided showcases the sport interior, with Alcantara accents and the AMG sport steering wheel. The new A-Class is styled following its big brother, the CLS coupe. It has sharp lines, an aggressive fascia, and bold lights that really provide a dominant street presence. 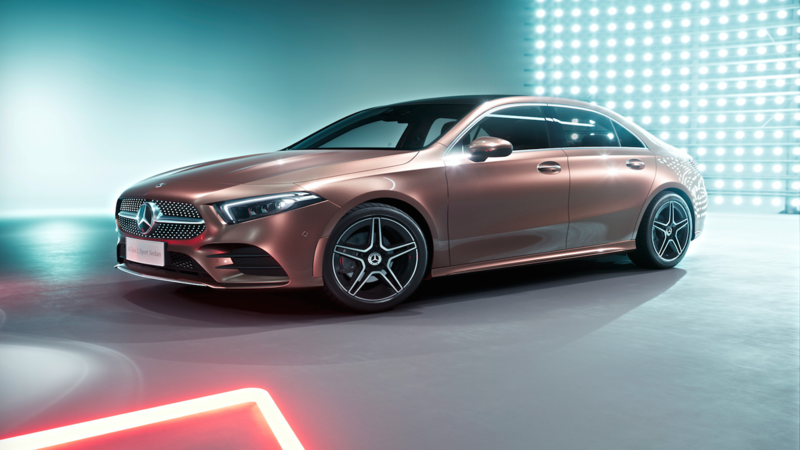 Since it's based off the CLS, its roofline slants to give it a truly sporty look. The A-Class is supposed to look like a coupe from some angles. The doors have that classic no-frame look that everybody wants. Its new headlamps give the A-Class a "predator" look. This is only a styling cue that is prevalent in the A and CLS-Classes. This model is supposed to fill a void and bridge a gap from Mercedes tiniest car to its C-Class. The CLS has the same intended function of bridging the gap between the E and S-Class. The A-Class Long Wheelbase does not have a price just yet, but a normal A-Class does. Since the A-Class will not be offered in America (yet), the only price available is in Europe. For £25,800-33,835, you can have yourself a brand new A-Class. Expect the Long Wheelbase to be a range topper and cost closer to the 33k mark. America has no market for a car like this since crossovers are dominating showrooms. The Mercedes A-Class was driven on its press release a few months back. To state the obvious, it's not a performance-based car. The 1.3 L provides adequate horsepower for city and highway driving while the 2.0 L and diesel models have yet to be released. If you want a true pocket rocket, you'll just have to wait for the A45's successor which will surely be very quick. But as far as city cars go, this is a pretty hard package to turn down. The quality of materials, the ride, and the three-pointed star are all very alluring.